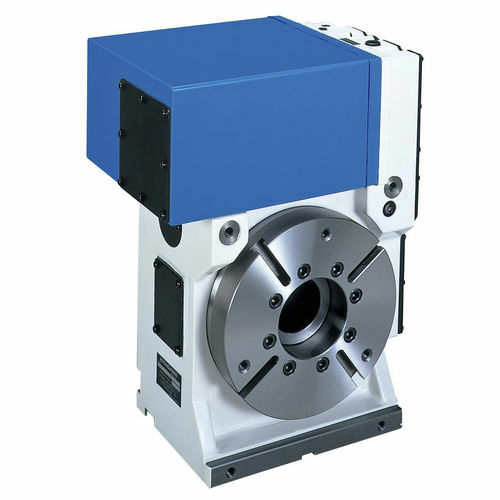 TUX200 Rotary Table with top mounted motor is applicable for horizontal machines. It has 200 mm diameter faceplate with a maximum speed of 33.3 rpm and clamp torque of 600 Nm. It has a center height of 140 mm and the clamping method is hydraulic or air-hydraulic. The motor axis can reduced inertia by 0.00055 kg.m2 and its allowable work inertia is 0.50 kg.m2. Its spindle through hole diameter is 52 mm. This device weighs 80 kg.